It's likely that Amsterdam attracts more marijuana enthusiasts annually than any other city on the planet. The freedom to "coffeeshop-hop" and taste the variety of top-quality weed and hash that the city has to offer is, for many, an attraction in itself. As if the fabled coffeeshops and well-appointed headshops weren't plenty, here are some more cannabis-related attractions worth a trip for avid smokers. 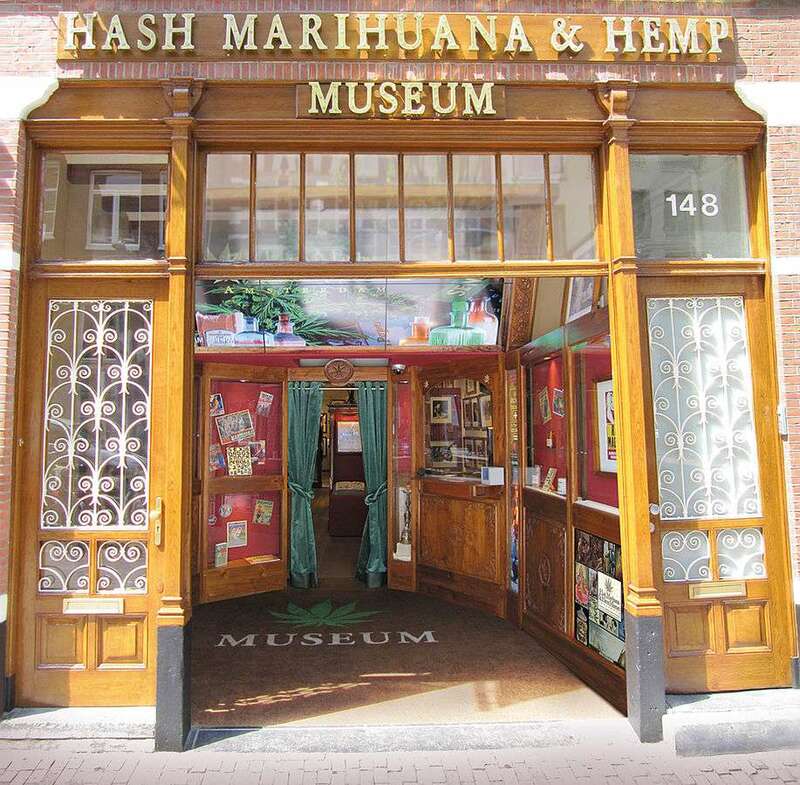 The Hash, Marihuana and Hemp Museum explores the cultural history and manifold uses of the Cannabis sativa plant. Cannabis is much more than the sum of its parts: hash and marijuana have well-established recreational and medicinal purposes, while hemp is a versatile "wonder fiber" whose seeds are an excellent source of vital nutrients. This educational museum is also appropriate for children, who are allowed free admission. This volunteer-run information center is a non-profit initiative to educate the public about all aspects of cannabis. Let the staff tell you all you ever wanted to know about hash, marijuana, and hemp, and then head downstairs for an up-close-and-personal view of their house cannabis plants. Barney's Uptown is, essentially, a restaurant for cannabis smokers: located across the street from the celebrated Barneys Coffeeshop, a multiple Cannabis Cup award winner, Uptown is where diners can smoke a joint, then tuck into a meal to satisfy their munchies. And, unlike in coffeeshops, alcohol is served. The Cannabis Cup is the Oscars of marijuana cultivation: since 1987, this yearly awards ceremony has honored the best products from the cannabis seed industry each November in Amsterdam. More festival than formal ceremony, the Cup offers live music, comedy, and a cannabis expo for participants.